SiRF Technology has launched its SiRFprima platform, which combines a GPS/Galileo location engine, application processor, audio and video recording and playback capabilites, high-resolution 3D graphics, and a host of peripheral interfaces – all tuned to operate concurrently. The platform supports both WinCE and Linux operating system environments, according to the company. The European GNSS Supervisory Authority (GSA) has invited bids on an estimated €500,000 ($732,000), 18-month contract to evaluate and propose refinements in the Galileo signals to optimize the system’s prospects in a multi-system GNSS world. NovAtel Inc. will establish grounds sites in Canada to monitor the GIOVE (Galileo In-Orbit Validation Element) test satellites under a CDN$667,861 (US$671,568) contract recently awarded by the Canadian Space Agency (CSA). 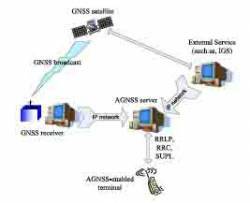 The work includes a parallel cooperative effort to integrate the NovAtel Galileo Test Receiver (GTR), developed for the CSA, into the GIOVE-A Galileo Experimental Sensor Station (GESS), to upgrade the GTR capabilities and to field these GESS stations in Canada. Finland’s Nokia, the world’s leading manufacturer of mobile phones, is investigating use of GLONASS signals in new products that could reach the market in the near future. As it prepares for its sixth annual conference, the Munich Satellite Navigation Summit continues to hone its identity as a genuine "summit," the place for high-level political, military, and corporate leaders to discuss all of the GNSS systems from a strategic perspective. Abstracts for the 2008 International Symposium on GPS/GNSS are due on Monday, June 16. This year, the conference, which rotates throughout the Asia-Pacific region, will take place in Tokyo, Japan from November 11 through November 14. Presenters who choose to have their papers refereed and published in the proceedings must submit their full papers with payment by July 15. Non-refereed papers must be submitted by September 15. Authors will be notified of acceptance by July 31. 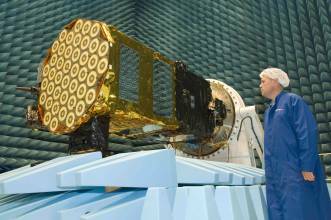 The first Galileo experimental satellite, which marked its second anniversary in space on December 28, may soon have company. Designated the Galileo In-Orbit Validation Element–A (GIOVE-A) satellite, the spacecraft has been broadcasting a variety of signals since January 2006, using on-board rubidium clocks for time-tagging signal transmissions. Now, GIOVE-B — the larger second experimental satellite, which will carry one hydrogen maser and two rubidium clocks, is nearing readiness for transfer to the Russian Baikonur launch facility in Kazakhstan. 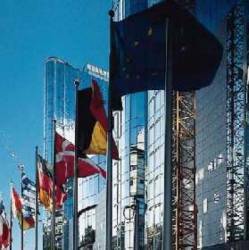 On Friday (November 30), the European transport council voted unanimously to adopt a European Commission (EC) financial scheme that would lead to a fully operational constellation in 2013, if the project can stay on schedule. On Tuesday (November 13) European Union (EU) finance ministers will address the European Commision (EC) proposal for all-public funding of the Galileo program. The proposal announced by the EC in September would use the 2007 and 2008 budgetary reserves for agriculture and administration — totaling about €2.5 billion — to augment a €1-billion Galileo allocation already in place. European transport ministers will take up the issue again in December.